When does the living get breezy? Spring time, baby. 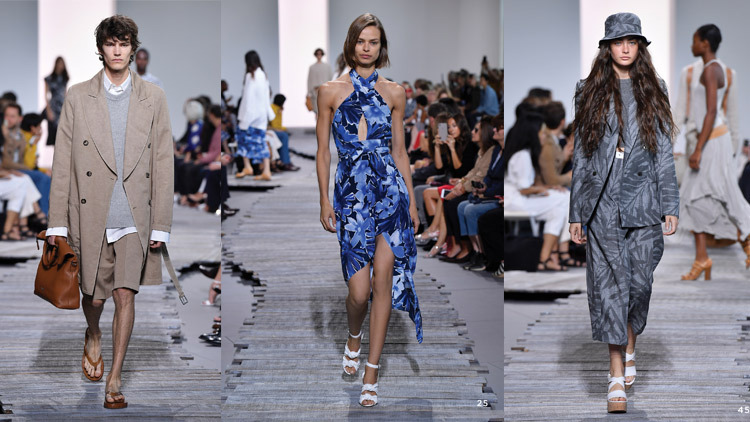 Especially if you’re lucky enough to be dressed head-to-toe in Michael Kors’ Spring/Summer 2018 collection, which was all about monochromatic looks layered in tie-dyes, solids, stripes and beach-envious palm-prints. 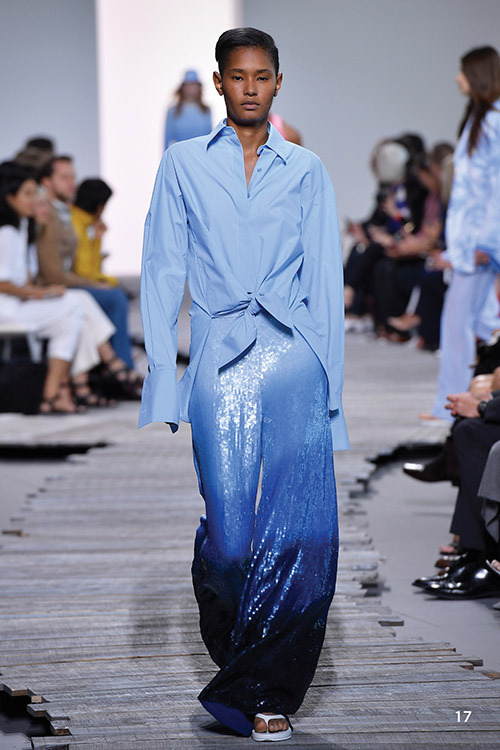 With looks varying from layers of loose, periwinkle-striped pajama bottoms with a matching button-down, covered by a soft-hued blue sweater paired with a final layer of a pastel blue palm-print blazer; to a daring, white deep-V neck top under a black oversized blazer, all paired with too-cool-to-give-a-damn flip-flops, Michael Kors made sure his collection was able to dress both the flamboyant extrovert and the shy introvert. 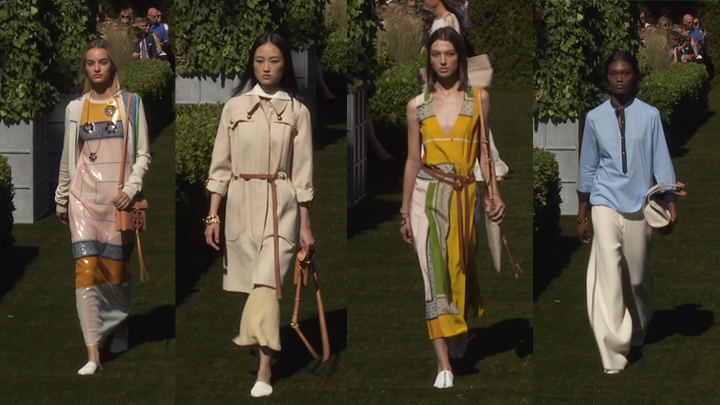 Using both a color palette of breezy pastels for the lovers of all colors—a beautiful beige for the jetsetters and office-dwellers and, of course, the quintessential grey, black and white for chic minimalists—there’s a piece for everyone in Michael Kor’s SS2018 RTW collection. 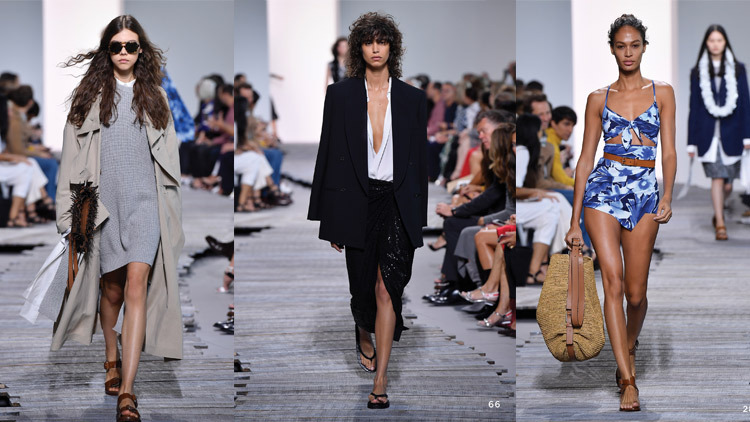 With his successful Spring/Summer line, we can crown Michael Kors the on-going King of the effortlessly chic, bombshell look—while also giving us the ultimate answer on how to look fresh while battling the onslaught of heat weighing down heavily on us from global warming. Thank you MK!